Steam vapor cleaners are different from steam cleaners and this article takes a closer look at that. Vapour steam cleaners are excellent to use around the home and will give you a deeper clean than other steam cleaners or gadgets. 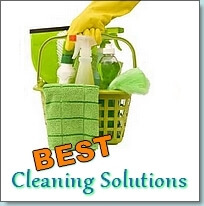 Vapor cleaners are excellent, chemical free and allergy free machines to use in the home and workplace. They create steam at very high temperatures which can kill bed bugs, germs, allergens, mold, dust mites and other harmful pathogens. Using steam to clean around your home means that you will never again have to fear the ill effects of chemicals on your family members and pets. 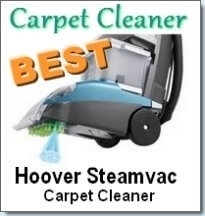 There are numerous types and brands of steam vapor cleaners that can be used around the home to clean your upholstery, equipment, carpets, bare floors, bathrooms, grout, kitchens and just about anywhere else. Vapor steam cleaning uses dry steam at high temperatures (295ºF+) and specified pressures to clean and sanitize your surfaces. The difference between steam cleaning and vapor cleaning is that the steam from vapor cleaners is hotter and has very little moisture content. The vapor is about 94 degrees dry at surface contact. This characteristic makes it perfect for killing harmful bacteria and cleaning surfaces that you don’t want to get wet. It is recommended that you use a vapor steam cleaner to clean your carpets as you don’t want to risk moisture remaining within the fibers. The steam vapor is comprised of particles or droplets which are much smaller than those particles of ordinary steam. Because the particles are smaller, it allows the vapor to reach into cracks, crevices and smaller spaces much easier. You can now literally clean at a much deeper and thorough manner with vapor cleaners than with steam cleaners. What brands and models of vapor cleaners are there? It can be difficult to separate steam cleaners from vapor steam cleaners, so here is a list of some. 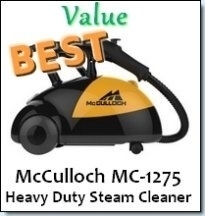 Note that the majority of vapor cleaners are more expensive than steam cleaners because they are simply so better at what they do. 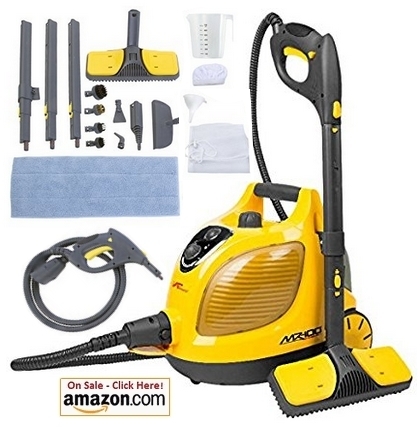 This is a simple and easy to use vapor steam cleaner that will clean and sanitize almost any surface in your home. Vapor temperatures can reach between 210 – 220°F and this machine can steam for up to one hour. It has a water capacity of 1.6 liters and can easily clean dirt, grime and grease as well as kill bacteria, dust mites or spores without using any chemicals. The boiler is made out of stainless steel which means it is very durable. Where and How can you use it? Bathroom: You can use it to clean your bath tub, shower head, tiled floors, grout, mirror etc. Kitchen: floors, ovens, stove, countertops and any surface covered by grease and dirt. Around the home: You can use this steamer to clean your upholstery, your couch, carpets, bed and mattress as it will eliminate bed bugs and other creatures. Outside: It can clean your grill, outdoor furniture, car interior, sports equipment and more. This vapor cleaner is one of the most affordable vapor steam cleaners and it is the perfect entry level vapor cleaner. 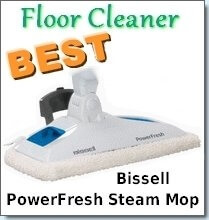 So if you’re new to vapor steam cleaning, you should definitely check this model out. More about Vapor Clean Steam Cleaners with a review of the Vapor Clean TR5 Pro.